Organization is key when trying to save money. One of the best ways to save money is by writing down what you plan to have for dinner each day of the week and shop accordingly. Of course you can change meals around on different days if you want to, but try to stay within those meals you planned for so you aren’t making last-minute trips to the store which can really add up! 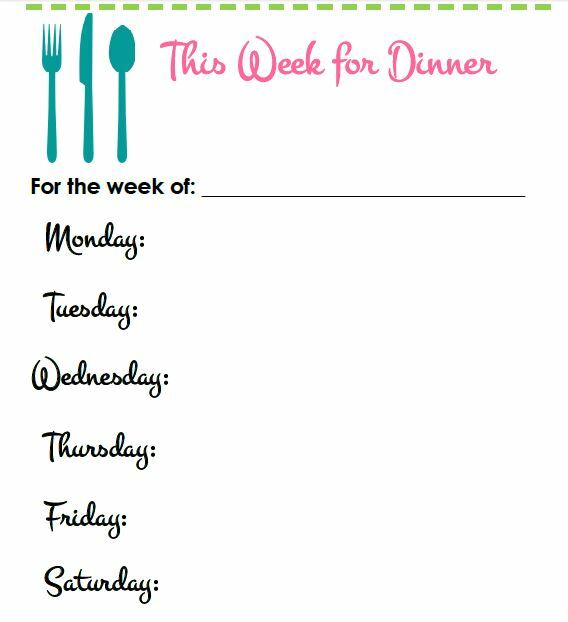 I have created a simple Weekly Dinner Menu Printable for you to use. This has all 7 days on it and will help you keep organized for dinner. To save on printer ink and paper, print it once and place inside a clear sleeve then use dry erase board markers to write on it. Then each week just erase and repeat! Do you like this Free Printable Dinner Menu Organizer? If so, Repin it using the button below!